We had dinner at Grayl's Hotel on Friday. 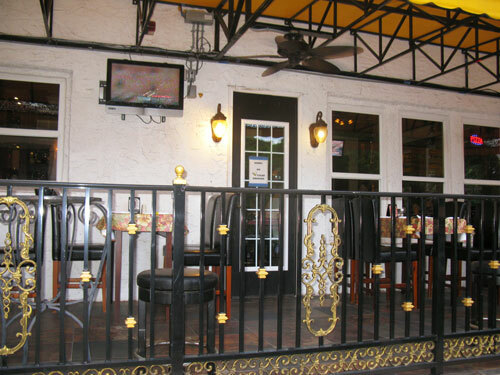 The outside patio at this 88-year old historic building was perfect for a quiet, romantic, and inexpensive dinner in downtown St Pete. 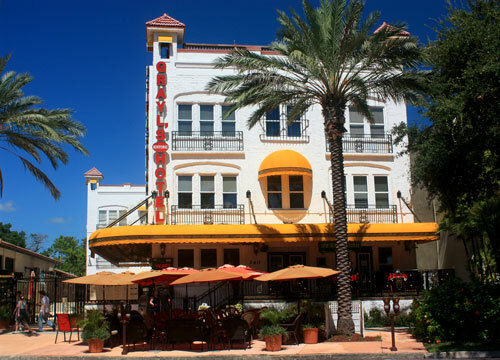 Grayl's Historic Hotel, is located at 340 Beach Dr NE St. Petersburg, Florida (FL) 33701...right across from beautiful North Straub Park with Tampa Bay, just beyond. Built in 1922, it has been undergoing renovation since 1993. In addition to Gatsby's Restaurant and Packard's Bar, Grayl's also has 17 large suites on the upper two floors. They are all 700+ square feet and include kitchenettes with refrigerator/microwave in each room. We got there about 7:00pm, but the outside patio remained all ours for about 45 minutes. Of course, in-season (January - April) it is probably full. Looking north on Beach Drive toward the entrance. Grayl's has streetside seating. 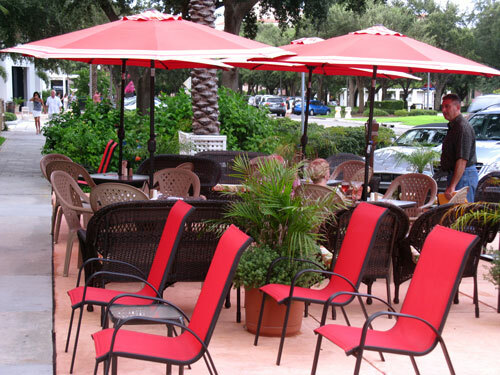 This helps you get even closer to the energy of downtown St Pete in the evenings. 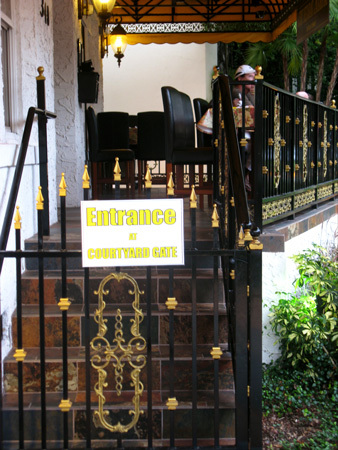 We could not just walk onto the patio seating, we had to enter through the courtyard. This was great because we got to see the vintage Prohibition Era decor. 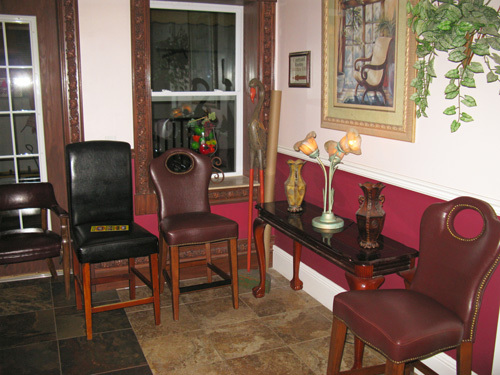 Checkout the uniquely styled chairs, vases, and window trim. 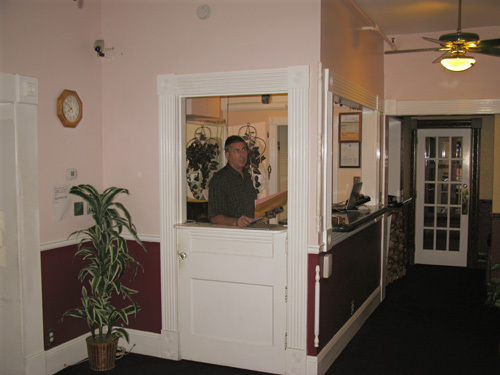 The reservation desk is much different than the ones we see in modern hotels. 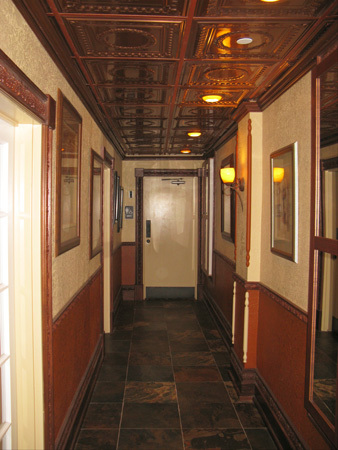 The hallway to the restrooms featured vintage wainscoting panels and copper ceiling tiles. 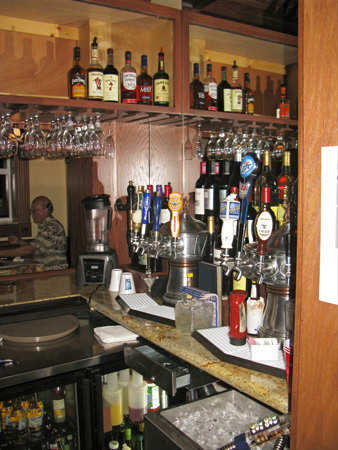 Packard's Bar only had a few casual customers, but we understand it gets pretty packed about 9:00pm. 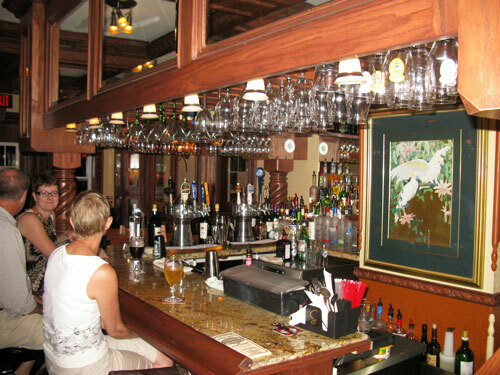 This is a classy looking bar. 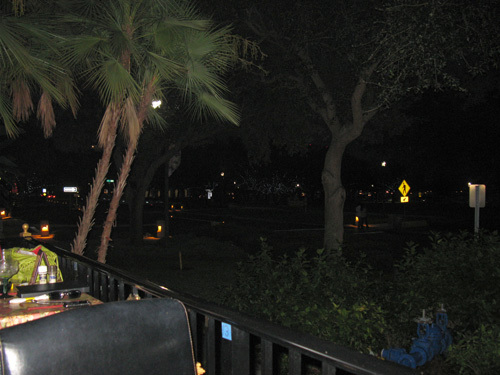 The patio runs all the way across the east side of the hotel. Like I said, we had the whole place to ourselves on this evening. 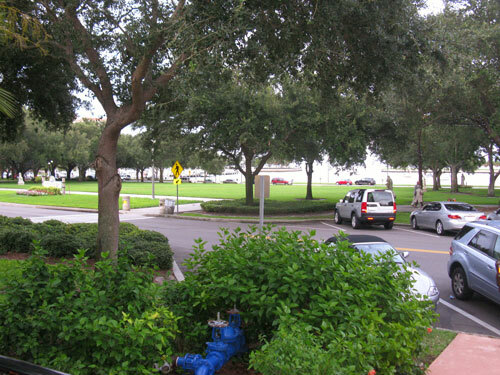 We had a great view across North Straub Park to the yacht basin off Tampa Bay. 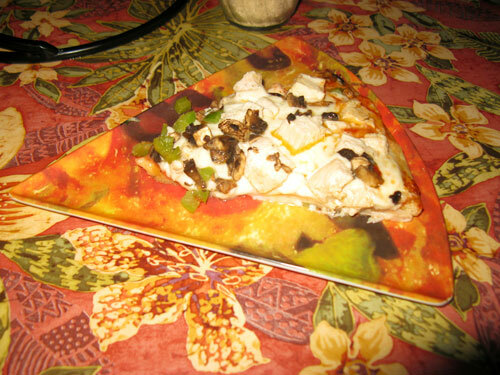 We ordered the 12" medium crust pizza with three toppings. It seemed to be much bigger. 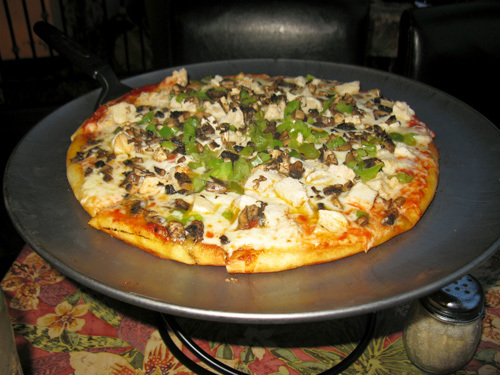 After splitting five slices, we needed a box to take the rest home. By the time we finished, it had gotten dark. A few other couples had come to eat a late dinner, but we were still able to enjoy some quiet conversation for another 20 minutes, with some wine. 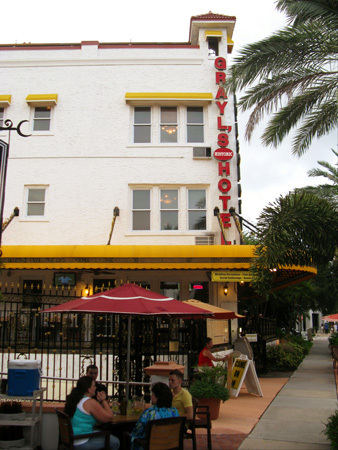 If you are looking for a quiet place to eat outside, without the high-energy of say, Cha Cha Coconuts out on St Pete Pier, dinner at Garyl's Hotel is a good place to start for a romantic evening.